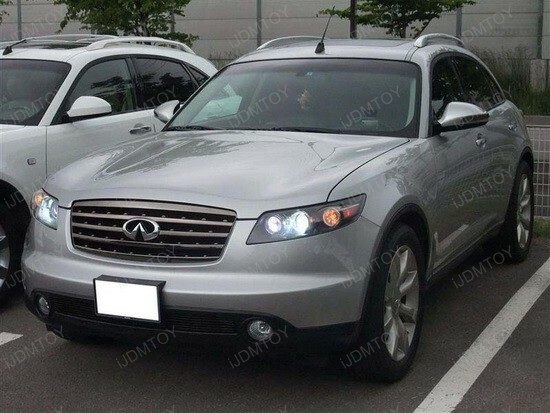 The 2008 Infiniti FX35 could be considered a lovely sport sedan in SUV clothing with a small upgrade from the owner – he installed the 7440 LED DRL, which made the FX35 look more vivid and aggressive. In a vehicle like this you’ll enjoy quick acceleration and awesome appearance, but what’s more important, you’ll be amazed by the amount of interest this babe generates with the 7440 LED DRL on. Take a look at the pictures of the featured 2008 Infiniti FX35 with T20 LED Driving Lights on. These LED lights perfectly match the clean headlights design and contribute to the overall somehow "hi-tech" appearance. The old yellowish look is gone and it is replaced by the brand new 7440 LED bulbs. 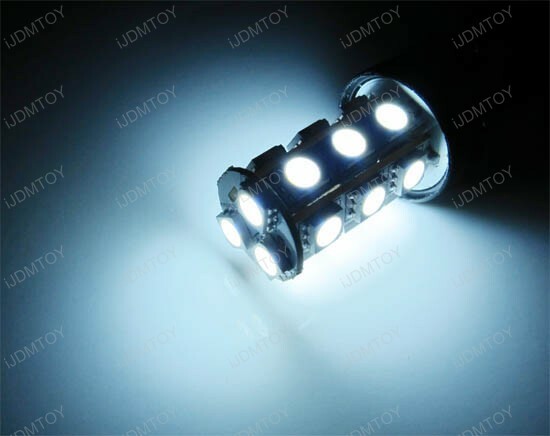 Each JDM 18-SMD 5050 T20 bulb contains 18 Beautiful High Quality 3-Cell 5050 SMD chips which are much brighter and colorful than the stock OEM dull yellowish tungsten lamps. The best thing is that you don’t need to own a 2008 Infiniti FX35 to enjoy this high quality product, but a car that is equipped with bulbs No. 7440, 7443 or 992A. 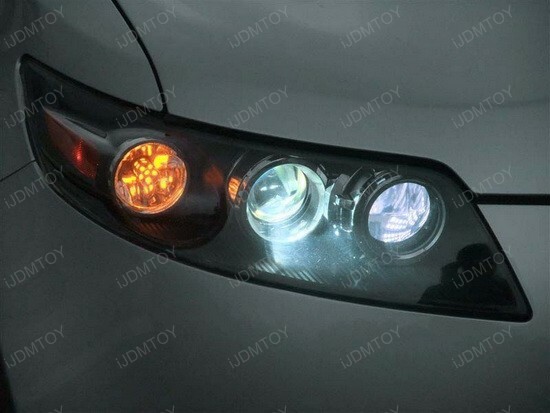 These LED bulbs are commonly used for turn signal corner lights, backup reverse lights, or brake/stop lights and iJDMTOY offers them in four color variations: Xenon White, Ultra Blue, Brilliant Red or Amber Yellow to match your taste. Replacing the OEM bulbs takes a few minutes and you can do it on-the-fly at home. Just plug out the OEM bulb and plug in the new LED one. Nothing more, nothing less – what you get is what you see. If you need some assistance, don’t hesitate to drop us a line and we’ll do our best to help you. 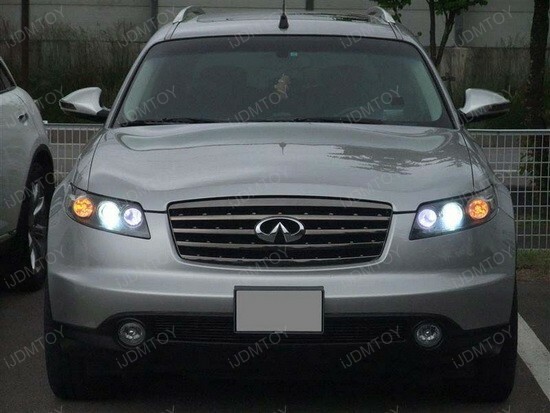 Our 7440 LED DRL are a heck of a nice touch to this lovely 2008 Infiniti FX35 and made it look a thousand times better. They are much brighter than other bulbs out there, and the quality you receive for your money is no less than excellent. You really can’t go wrong with purchasing this product. Treat your car the way it deserves and turn some heads around while cruising down the street in style. This entry was posted in - LED & HID Updates, Infiniti and tagged 7440, 7440 LED DRL, 7440 LED light bulbs, 7441, 7443, 7444, LED backup reverse lights, led brake lights, LED bulbs, LED Daytime Running Lights, led lights, LED stop lights, T20 LED bulb, T20 LED Driving Lights, turn signal corner lights by Eric Wu. Bookmark the permalink.